Aoyuan Healthy Life Group, has formed three core business lines, i.e. health industry, commercial operation and property management relying on the strong brand and resource advantages of Aoyuan. Targeting property owners and consumers, we provide one-stop life services both online and offline by adopting the “technology + operation” innovative management pattern. This has turned Aoyuan Healthy Life Group into an excellent urban life service operator in China. We always adhere to the brand concept that “create the enjoy of life”, the core value of “people oriented, customer first, service foremost”, and the sustainable development concept of “serving life in an all-round way”, striving to become a model enterprise offering diversified and innovative modern services. Aoyuan Health, based on nationwide businesses and communities of Aoyuan, enjoys exceptional resources of owners and consumer users, and adheres to the brand concept of “Aoyuan Health, Enjoy the Future” to build a one-stop medical service platform combining online services and offline services. It mainly covers four business sectors, including TCM, medical beauty, medical tourism and health care for the elderly. By following the service philosophy of “respecting science, putting service first”, Aoyuan Health effectively combines the scientific law of Chinese and western medicines, takes it as its duty to realize “co-building and sharing, health for all” and lead a healthy and better life, devotes itself to community service, and gives back to the society. Aoyuan Commercial Management is committed to providing consumers with social platforms for better life experience. With “creating urban life center enhancing property value ” as the core business philosophy, we provide full-process one-stop commercial operation and management service, covering the entire commercial property chain, including preliminary planning, commercial design, technical consulting, investment promotion, opening preparation and operation management. 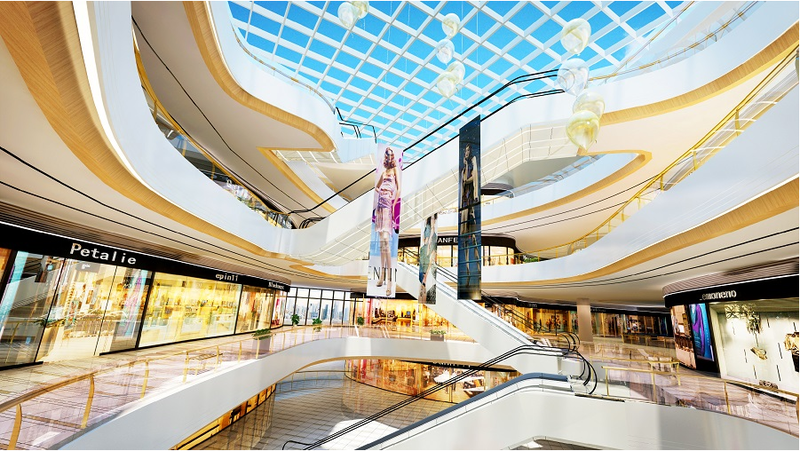 We have created twocompetitive brands that meet market demands—Aoyuan Plaza and Aoyuan City Plaza, which have become the fastest growing shopping center brands in China and successfully realized brand management output. So far, we have managed over 20 commercial projects with the total commercial area exceeding one million square meters. Aoyuan Property Management, which owns the national Class-I qualification certificate for property management enterprise andadheres to the service idea of “sincere service, considerate management”, now serves and manages more than 100 projects across China. The total area has exceeded 16 million square meters, involving large residential communities, commercial complexes, apartments, office buildings and high-end villas, etc. Our services cover real estate development, sales and delivery, after-sales service. We uphold the professional service spirit of “paying attention to details, winning by details” and stick to the quality policy of “efficient management, sincere service, technological innovation and brand building” so as to form a high-quality, high-efficient and high-level property service system.